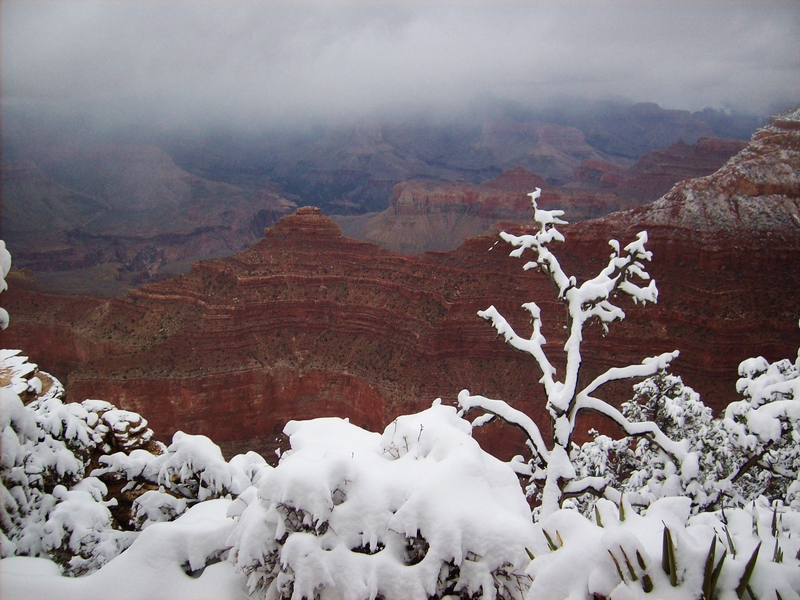 Grand Canyon, November 2011 | Where's Zoe now? None of the photos on the official website looked like this. To make matters worse, the rim of the canyon was at approximately cloud-level, so visibility was only a few metres. Huddling in an enclosed lookout for warmth, I read a sign that showed me all the things I could have seen on the opposite rim of the canyon, and felt a twinge of envy when I overheard the couple nearby talking about the rim-to-rim hiking trip they’d made the year before. Hiking was out of the question that day, since all the trails into the canyon had turned into a gloriously slippery mix of mud and ice. Something that’s not grey or white! 5 minutes later, the cloud was covering this again. In the end, I called it an early day and headed back to Tusayan to warm up with a serving of kitsch-mexican from the restaurant across the road from my hotel, and to drown my touristic disappointments in a slightly flourescent margarita. There really is a canyon there. 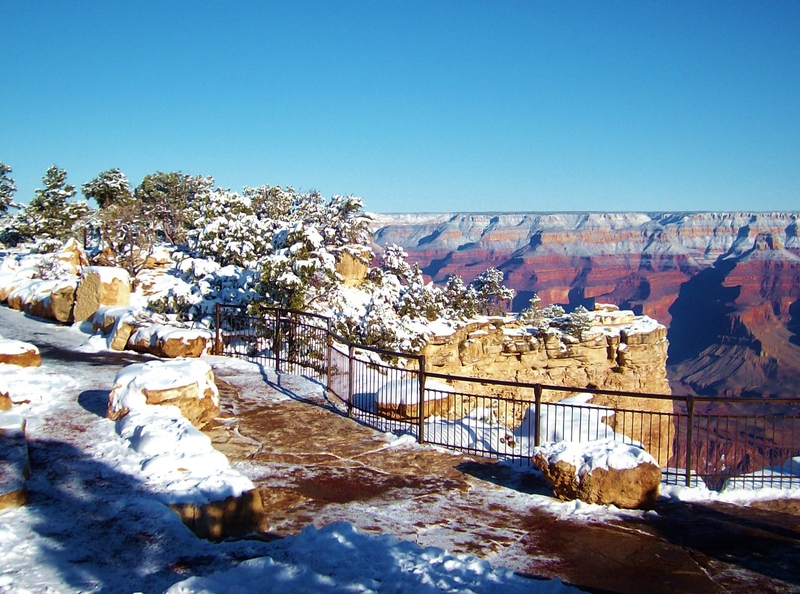 This entry was posted in USA and tagged grand canyon, travel on February 15, 2013 by Where's Zoe Now?. 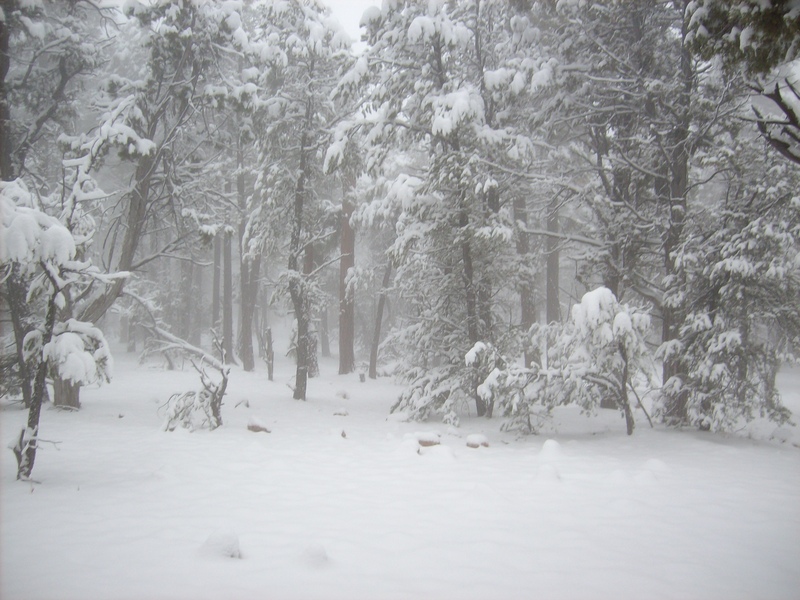 Pingback: Photos and memories and a roadtrip in Arizona. | Where's Zoe now?